The Discovery Channel’s Dirty Money may seem like just another formulaic collecting reality TV show, complete with a cast of family members — but if you believe that, you’re wrong. 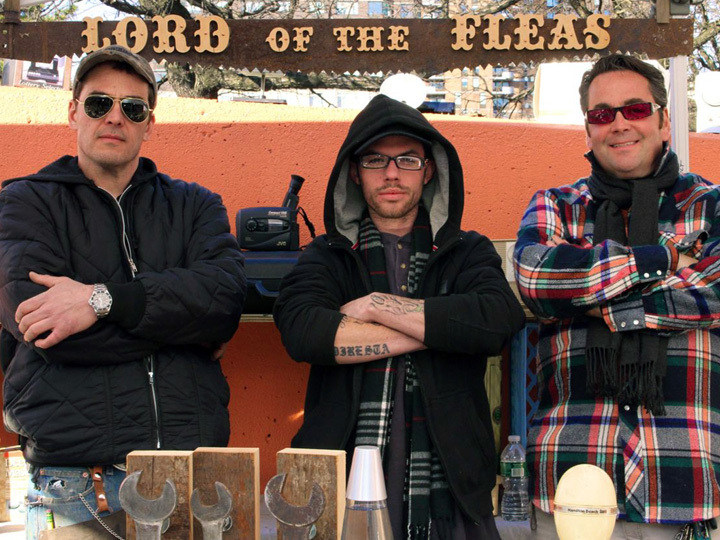 Sure, the show features brothers John and Jimmy DiResta, along with John’s son Matthew aka “Rat-Boy”, in pursuit of getting their junk on, dumpster diving & making deals in order to turn trash into treasure selling their fab finds and resurrected relics at Hell’s Kitchen Flea Market. And that may seem familiar — maybe even too familiar. But have you forgotten why you like to watch these shows? Perhaps most importantly, Dirty Money succeeds where shows with promise, like American Restoration, Cash & Cari, and even Picker Sisters has failed: It realistically brings to life the joy of transforming vintage and found objects into something collectible and coveted. It’s not a true step-by-step “how to” show, but with an authentic creative builder in Jimmy DiResta, Dirty Money does focus more on the process and pitfalls of restoration, recycling and other projects. And in an affordable way, for both collector and creator. Examples: An antique Gramophone turns out not to be worth the money & effort to restore, but is revitalized as a beautiful decorative, functional, and affordable player any record lover would want. And a vintage kid’s bike, also not worthy of an authentic restoration, is turned into a chain-saw powered, Evel Knievel-esque bike. Plus, Dirty Money shows the realities of what happens at flea markets, i.e., you don’t always get the money you’d like — but you will meet some great characters! However, the best characters are the cast. It’s clear that the humor and antiquing skills are hereditary; they’ve got “the sickness,” the love of other people’s junk, from their father, who is known as the “Lord of the Fleas.” It’s not just a name. When John & Jimmy’s dad shows up at their flea market booth with a suitcase full of “chum” (smalls items for the boys to sell), the Lord of the Fleas then takes his now emptied suitcase out into the flea market to fill it back up again. I love it! I wish Dirty Money had a regular set schedule. Not only does it make it hard to find an episode to watch, but such things lead to rumors that the show’s been cancelled. I hope the show lands a steady, stable spot on Discovery. PS It should be noted that both brothers have another show on HGTV, Hammered With John & Jimmy DiRestia. Dirty Money is produced by Vidiots. It’s not always easy for me to accept altering antique and vintage items, but sometimes it’s a matter of salvaging things the best you can, breathing new life into them so that they are appreciated once again. 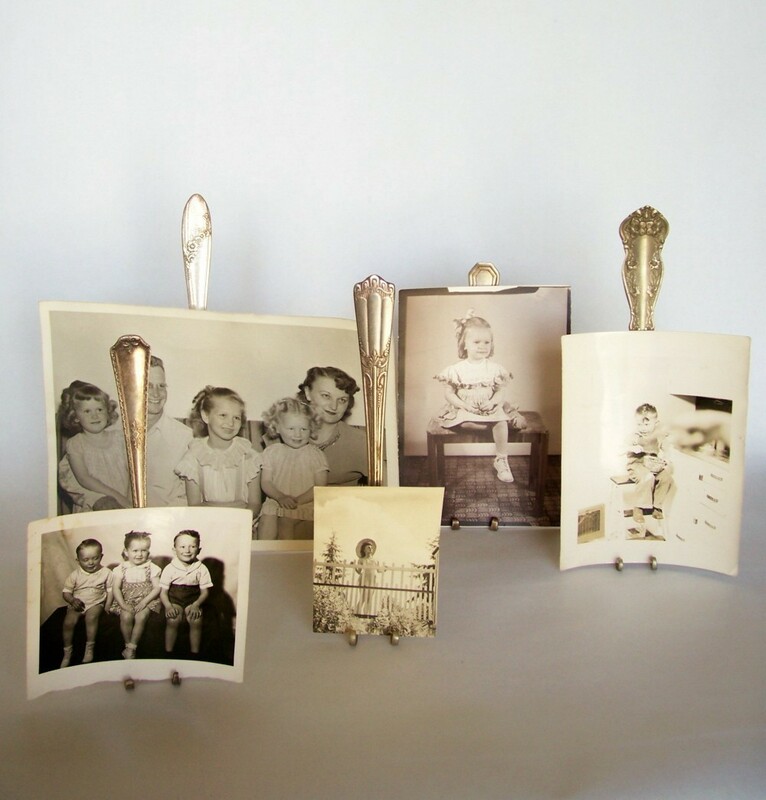 When I spotted these vintage fork easels, I had to say I thought it was a beautiful way to display a collection of photographs, ephemera, small art works, etc. 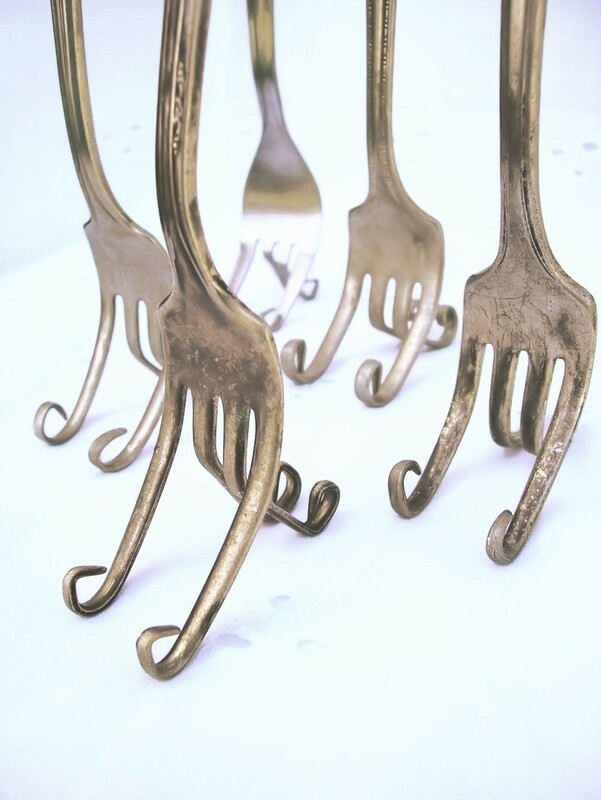 And given the number of unappreciated and neglected old silverware pieces (individual pieces and entire sets), it’s a great way to recycle not only the materials, but the appreciation and usefulness of old flatware. As a collector, I would suggest protecting photographs, especially antique and vintage photographs, by sliding them inside those little plastic sleeves first. And displaying little photographs this way not only saves the hassle of finding the right frame size, but allows you to rotate your favorite photographs so that they all get attention. What a lovely display! 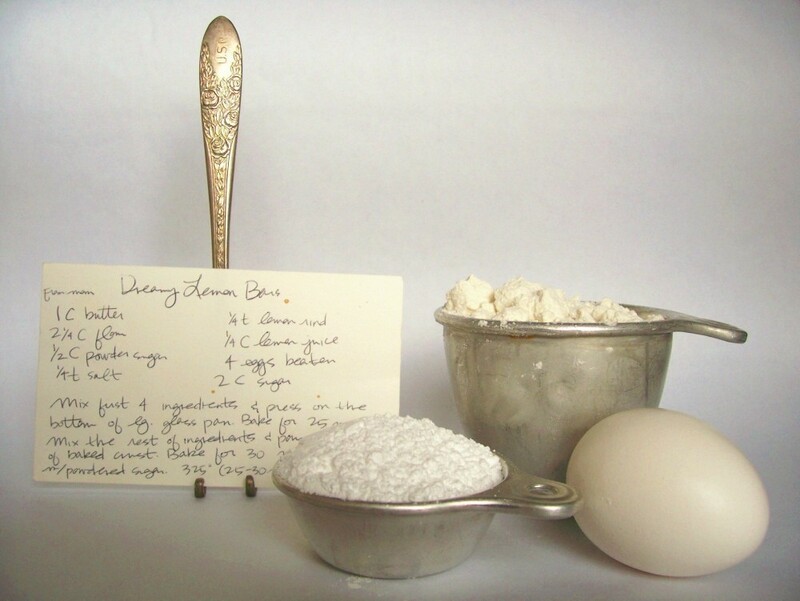 Even if the stems aren’t ornately decorated, the gleaming silver is elegant. 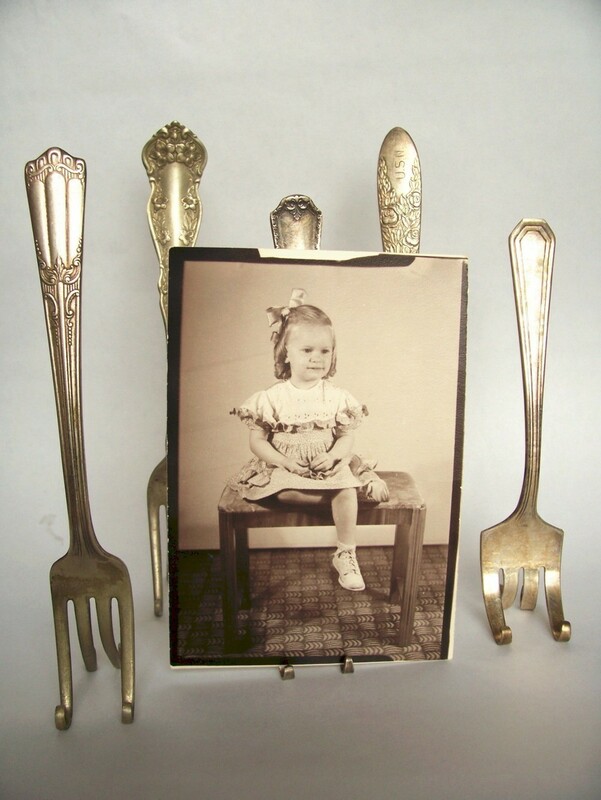 The seller/creator, WHIMSYlove at Etsy, also suggests using the vintage fork easels to hold individual recipe cards while baking. Clever!